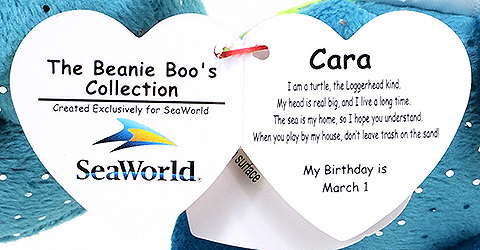 I am a turtle, the Loggerhead kind. When you play by my house, don't leave trash on the sand! 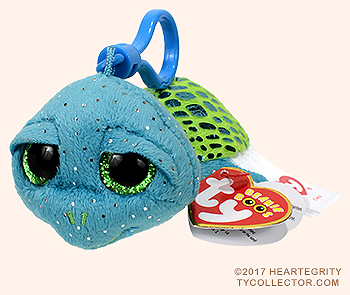 Five percent (5%) of the net sale price of SeaWorld/TY co-branded products sold to consumers in the United States (excluding Alabama, Hawaii, Illinois, Massachusetts, Mississippi, New Hampshire, New Jersey, South Carolina, Utah and the District of Columbia) is donated to the SeaWorld & Busch Gardens Conservation Fund.